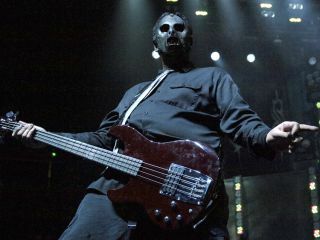 Slipknot bassist Paul Gray died of an accidental overdose of morphine and fentanyl (a synthetic form of morphine), a medical examiner has ruled. Gray did not have prescriptions for the drugs, and police are investigating where the 38-year-old musician obtained them. Gray's body was discovered about 10:50am 24 May by a maintenance worker at TownePlace Suites, 8800 Northpark Drive in Urbandale, Iowa. A hypodermic needle was found near Gray's body, along with "all kinds of pills," according to a 911 call. Polk County Medical Examiner Dr. Gregory Schmunk said that the two injected drugs killed Gray, and that the pills were not a factor. Schmunk and an Urbandale police spokesman declined to disclose what pills were found in Gray's room. Gray also suffered from significant heart disease at the time of his death, Schmunk said. Urbandale Police Sgt Dave Disney said investigators spoke with Gray's family and noted no indications that the death was a suicide. "We feel very comfortable that this was more than likely an accident," Disney said. "Everything he did, he did for everyone around him whether he knew you or not... and that's what he's left behind for us: absolute love. I will miss him with every fiber of my heart, as will everybody at this table and everyone who knew him. He was the best of us." Gray leaves behind a wife, Brenna, who is expecting the couple's first child in September. As of yet, there has been no statement from Slipknot as to the future of the band.